Every day is a school day, and the Gothic Folly is definitely throwing up some unusual terms and features. 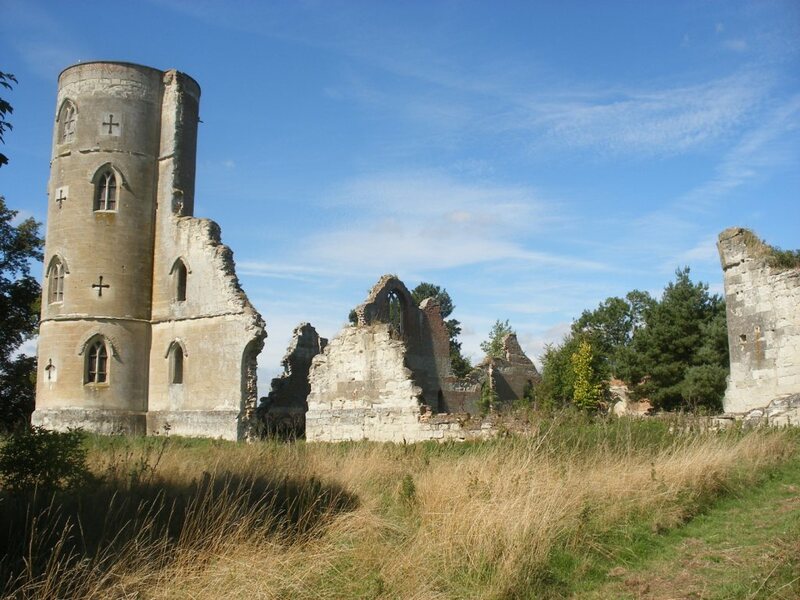 Paul Coleman, Project Manager and Building Surveyor continues…..
Crenels, crenulation, merlons, machicolation, battlements, embrasures, coping and cap stones are all part of what made the ruin at Wimpole such a striking feature in the landscape giving it that sham castle appearance. So what are these and why are they here? 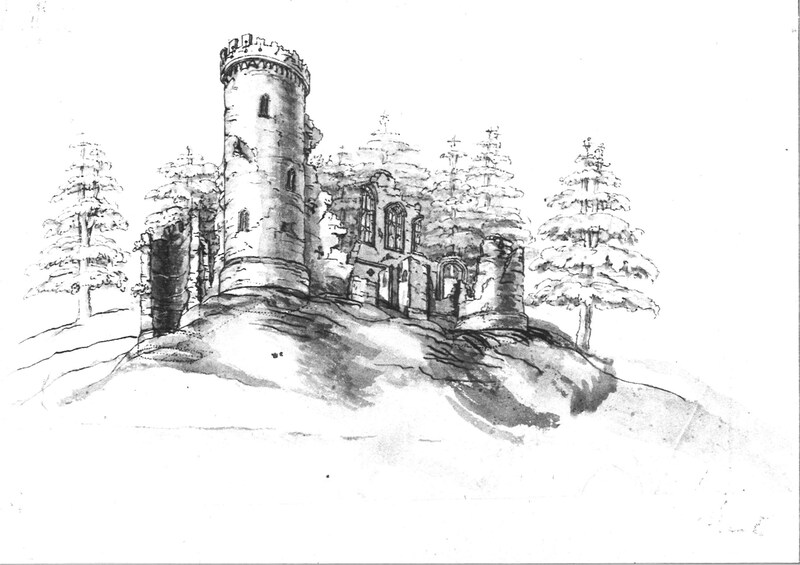 When Sanderson Miller designed the Folly (1749-51) and when it was built in 1772, the intension was for it to have a romantic, castle-like appearance with mock fortifications; places from which to view the approaching enemy and defend your property. So we see a familiar castle design with stepped stone features, also called ‘crows teeth’ or crenulations. 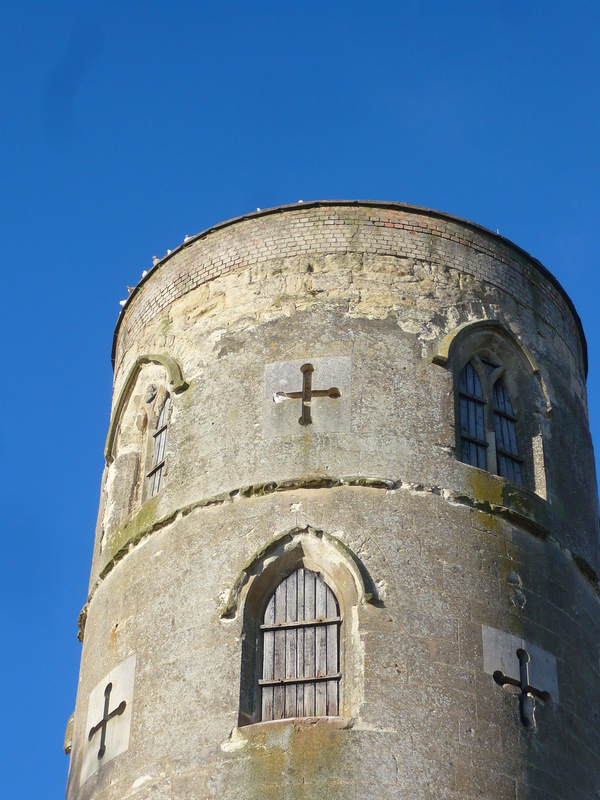 However, these features at the top of the building were constructed in a stone called clunch, a very very soft chalk limestone which in external locations does not weather that well and can suffer from rapid deterioration. 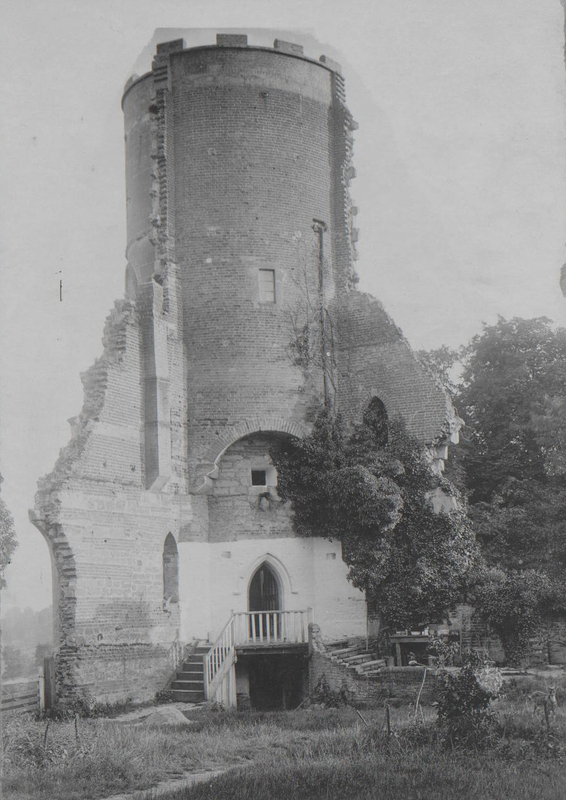 Exactly what happened at the Folly 100 years after its construction (1881), when we see the signs of the ruin becoming damaged by exposure to weather and the fortifications in a crumbling state. 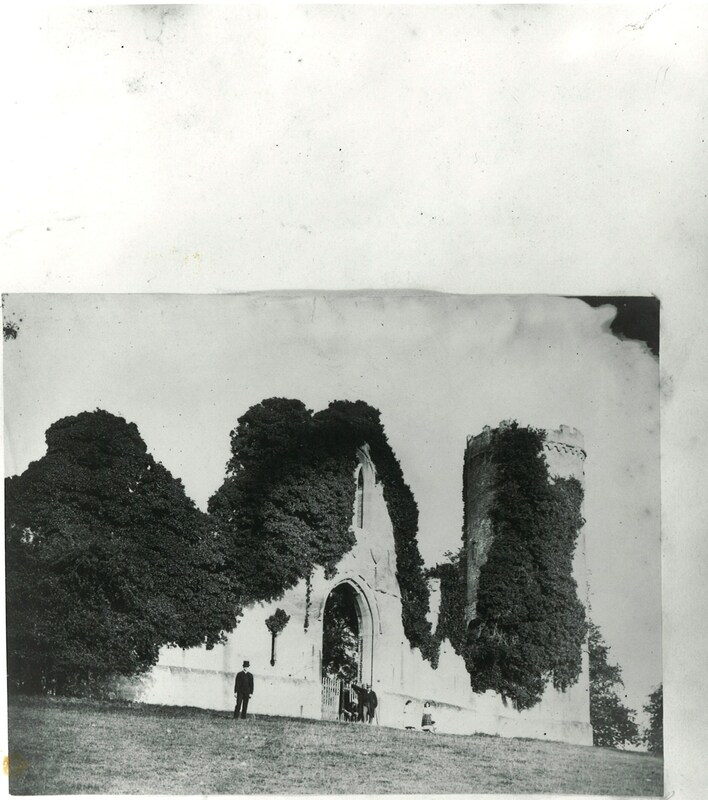 By the early 1900s they were in such a state with stonework failing and falling that they were eventually removed and replaced with a brick substitute. 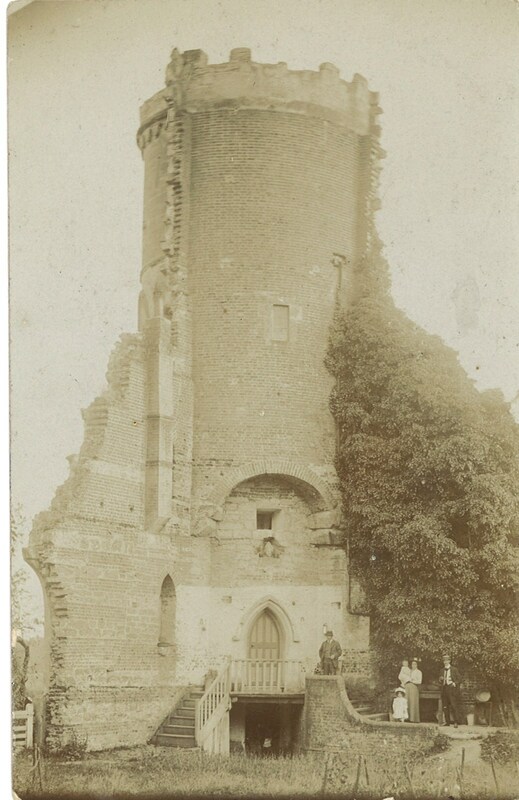 So began the demise of the romantic appearance, with hard brickwork topping the tower. Later in the 1980s the castellated effect was removed completely and we were left with a brick plain top with no character or reference to its former battlements. All very well but what do those terms mean? Battlements adorn the top of all good castles, town walls and churches; they are low walls for protection, tooth shaped in appearance with gaps where soldiers would stand to defend the building, popping out through the gaps to shoot the enemy with arrows or other missiles. The raised section between the gaps are the merlons. So the technical bit, the up and down shape (tooth shape) has solid walls and gaps. 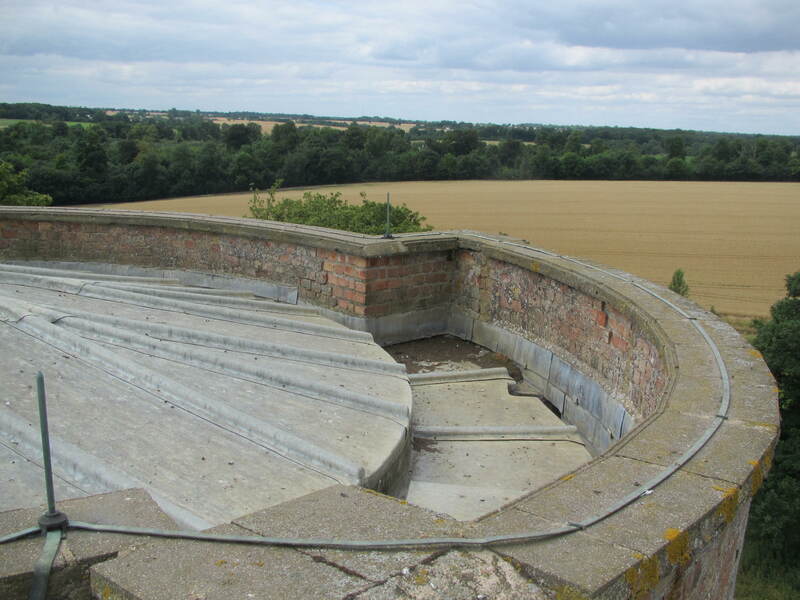 A merlon is the solid upright bit of the battlement; merlons sometime have slits designed in them for looking through or firing – these are shown on Miller’s original drawings from 1749, however were never built into the stonework. The space between merlons (the gaps) are called crenels. The up and down appearance of merlons and crenels is called a crenulation. Where crenels (the gaps) were designed to fire cannons, they were called embrasures. To add some different terms, merlons can also be referred to a cops or kneelers. The stones which cover a merlon (the very top piece) are called a cap stone or coping stone, used to protect and provide weathering to the wall. And finally, machicolations: a very effective way of defending your castle. They are an opening at high level where the battlements are stepped out to overhang the wall. The opening allows stones, burning objects or boiling oil to be dropped onto your attacker. These were common in European castles however when used in English buildings where more common on entry points to be defended such as gateways and draw bridges. 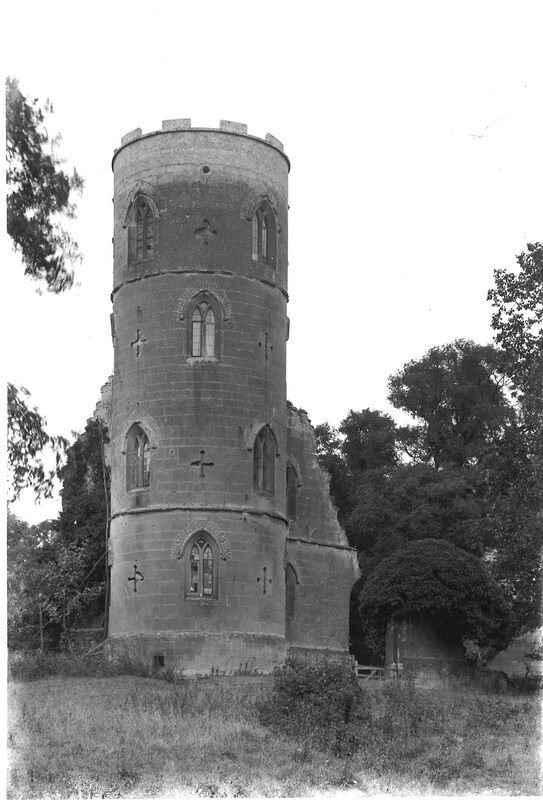 However, as the Folly is a sham, so are the crenulations and machicolations! They were never used in anger or for defence but to add to the castle-like appearance of the building. 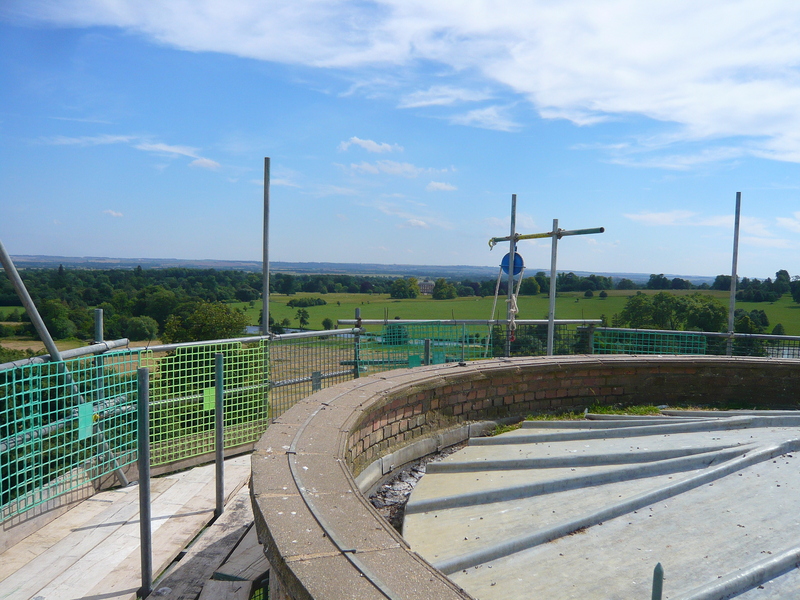 The current works at the Folly will see the 20th century brickwork at the top of the building removed and replaced with new stonework to replicate the historic design. We are using old photographs and Sanderson Miller’s original pen and ink sketches to recreate the scale, design and appearance. These works and the conservation of the stone can be seen first hand with our guided tours and you can gain access to the scaffold to see how we are repairing the building. Why not challenge a guide to tell their machicolations from their crenulations when you go? !